Python is a popular programming language that is widely used by beginners and longtime developers alike. 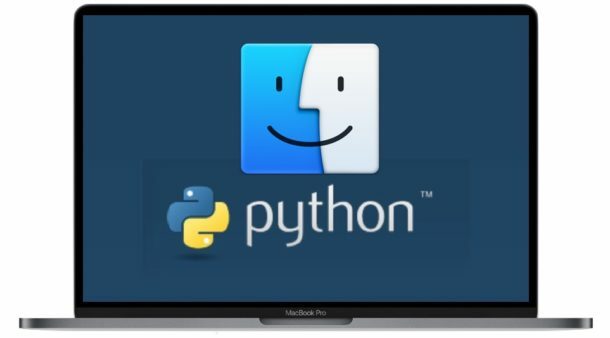 Modern Mac OS versions come with Python 2.7.x installed (or Python 2.6.1 if an older Mac OS X version), but many Python users may need to update Python in Mac OS to a newer version like Python 3.6.5. 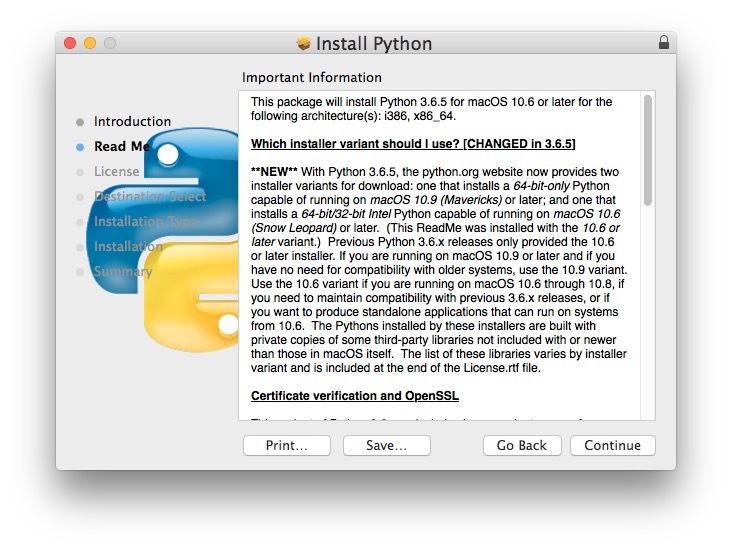 This article will discuss how to get an updated Python 3 installation on the Mac by covering two different ways to quickly and easily install Python 3 onto a Mac. Note that we said install Python 3, not update to Python 3, because how this will work is installing Python 3 while simultaneously maintaining Python 2 on the Mac. This is essential because apparently some Mac apps rely on Python 2 support, so if you attempt to upgrade Python 2.x to Python 3.x in Mac OS you will eventually find that something is broken, perhaps critically so. With that in mind you should not attempt to update the existing preinstalled Python release on a Mac, instead you will just have a co-installation of Python 3 for full compatibility. And yes, Python 3 and Python 2 can coexist on a Mac without any conflict, the usage commands will just be slightly different. Python 3.6.x requires about 100mb of disk space to install. Installation is quick, and you’ll have Python 3.x alongside Python 2.x on the Mac. Once Python 3 is installed you will find a Python3 folder within the /Applications directory of your Mac. You’ll also find the simple IDE called IDLE within the /Applications/MacPython3/ directory, which basically gives you the same Python IDE you’d encounter if you ran ‘python3’ at the command prompt in Terminal. You can also install Python 3.x on a Mac through Homebrew, which is my preferred method as a Homebrew user. Installing an updated version of Python 3.6.5 (as of time of writing) is super easy with HomeBrew. Of course you will need Homebrew installed on the Mac before you can use the Homebrew method, but if you’re interested in messing around with Python then Homebrew will probably appeal to you anyway. We’re going to assume you already have Homebrew, if you don’t the you can read here how to install Homebrew on Mac OS. Whether you install the updated Python 3 with the package installer or Homebrew, the default version of Python 2.7 that comes preinstalled with Mac OS and Mac OS X will still be installed, completely untouched, and can be run with the simple “python” command as always. In MacOS, you will find it’s typically Python 2.7.x of some variation, either 2.7.4 or 2.7.10 or similar. And as mentioned before, both installations of Python will coexist without conflict. Note that some aspects of Python are different in each version, and even features like the instant Python simple web server trick is different from version 2 to version 3. If you’re planning on using something longterm, or learning in general, you’ll be better off writing in Python 3.x rather than the older Python 2.x releases. So now that you’ve got Python 3 installed, you’re ready to roll! If you’re new to Python and programming in general, there are a variety of great resources out there to get you started. Or you can also explore the broad Python Wiki resources page here too. TLDR: Don’t update the preinstalled Python 2.x to Python 3.x, it will likely break something in doing so. Instead, just install and run the updated Python 3 separately. Curious, what version of macOS? And then try installing again. peenv is very useful tool. I recommend use it to switch between many python versions in system. Fitting, I needed Python 3.6 for the Gif to ASCII CLI tool and it works great. Cheers, thanks for helping upgrade to Python 3.6! Performed the brew install to 3.6.5 but when running python3 shows 3.6.2. “brew info python3” shows that brew knows about 3.6.5 but the command python3 will only load 3.6.2. Symlink that is not changing? How would I edit or change that? How do I delete my earlier python 3.5.1 so when I download 3.6x it will be the only active version?